Home » Biblical Theology » Who Keeps Us From Stumbling? What is Doxology and Why Jude? At Garden City and The Doxology Project(TDP) we believe in living doxologically. It’s not! Let me explain. In other posts I’ve shared how the word “doxology” comes from the Greek word δοξολογία, from δόξα (doxa), meaning glory, and λογία (logia), meaning logic or saying. To capture the full breadth of what I believe the word “doxology” is communicating is to say it this way: “the logical end and work of theology is to glorify and praise God.” Too often, theology is seen or used as a dry practice of thinking and reason, and it leads us to abstract speculation upon ideals. This is not the true end to theology. Theology should enrich our doxology—our response to God! If we know Him rightly (theology) we can display, praise, and worship Him rightly (doxology). At TDP, we want to explore the ways in which we can take our theology—or beliefs—and turn them into truthful, integral, and beautiful invention and expressive response. 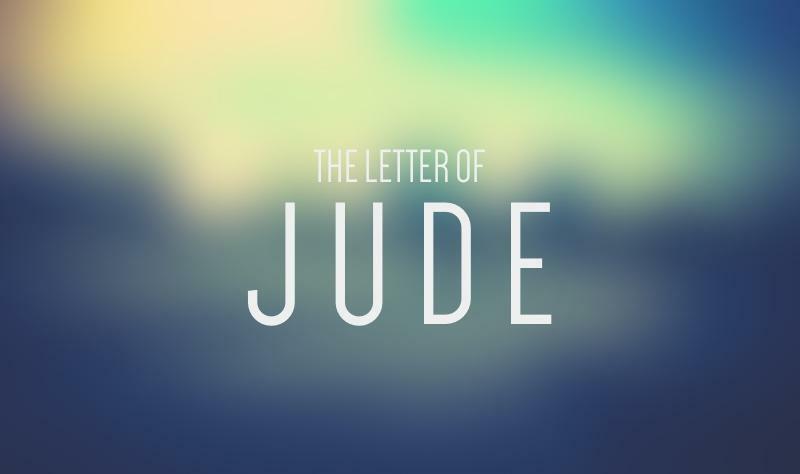 The reason for a blog post on the book of Jude is because it teaches us a lot about doxology. Jude writes a pretty blunt treatise of truth to his recipients and then at the end throws his hands up in the air and realizes that within all his theology is found only certain answers. The real answer is found in surrendering to the Lord. What was going on in Jude’s time? In verse 4 of Jude, he gives the purpose for writing his letter: false teachers had invaded the church. 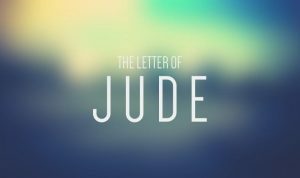 Jude’s letter is to address these false teachers and their teachings. D.A. Carson & Douglas Moo say that “the largest part of the body of the letter is given to the false teachers (vv. 5-16). Jude proceeds in three stages (vv.5-10, vv. 11-13, vv.14-16).” Moo and Carson demonstrate in their commentary how these stages use illustrations and quotations of similar occurrences from the Old Testament in order to pronounce judgment on the current false teaching going on in Jude’s time. In stage one, Jude alludes to the wilderness generation, the angels who sinned in Gen. 6:1-3, and the people of Sodom and Gomorrah. In stage 2, he issues a “woe” to these false teachers much like the woes in the Old Testament issued to Cain, Balaam, and Korah. In the third stage, Jude quotes from the popular book of that day, the book of Enoch as a way of announcing these false teachers condemnation. Where does Jude end up? Jude’s letter instructs in truth, but most importantly instructs in its trust. It aims not only to bring to accountability false teachers, but also to call true believers to trust the Lord in their circumstances. This is DOXOLOGY! It is not enough to say “I believe” something in truth without also following it in trust. In my next post I will take apart Jude’s prayer and consider his response to what was going on the church of his day!